A solar dog house for Radar, a Belgian Malinois, by OZ Architecture. 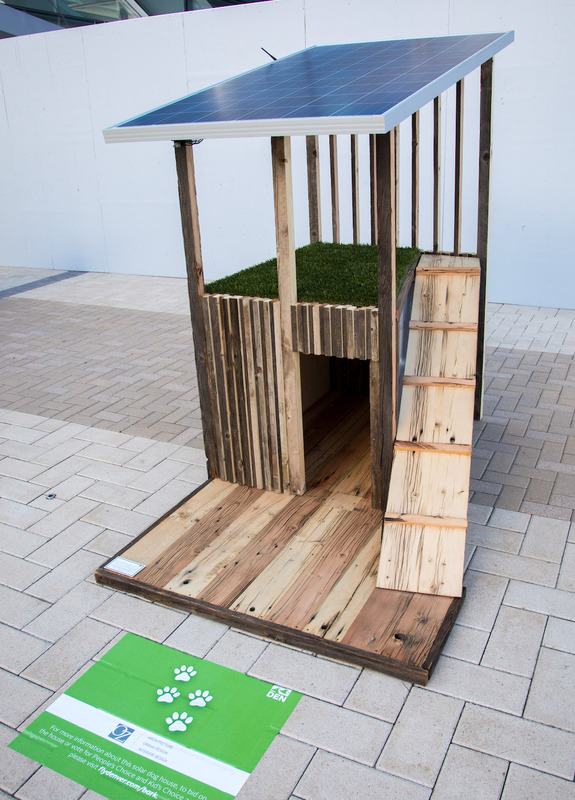 Accompanying the 2017 Solar Decathlon was the Sustainable BARKitecture Dog House Competition, a challenge to local Denver architecture firms to design and build the ideal solar dog house. The homes were built for a specific Canine Airport Therapy dog and were on display at the Denver International Airport through Oct. 9th, 2017. The homes were sold in an online auction to benefit the Dumb Friends League. Radar’s house illustrates that everything can have more than one purpose. This adaptable dog house is a perfect fit for an active dog like Radar with several ways to interact with it: Radar can take advantage of the breeze on hot summer days and also have shelter from the elements of winter. A ramp that leads up to the rooftop to allows Radar to take in the great views of the Rocky Mountains, while his owners can keep an eye on Radar through a solar-powered doggie-cam. The solar panel acts as a shade element while also providing a sustainable source of power for the LED lights on the rooftop. 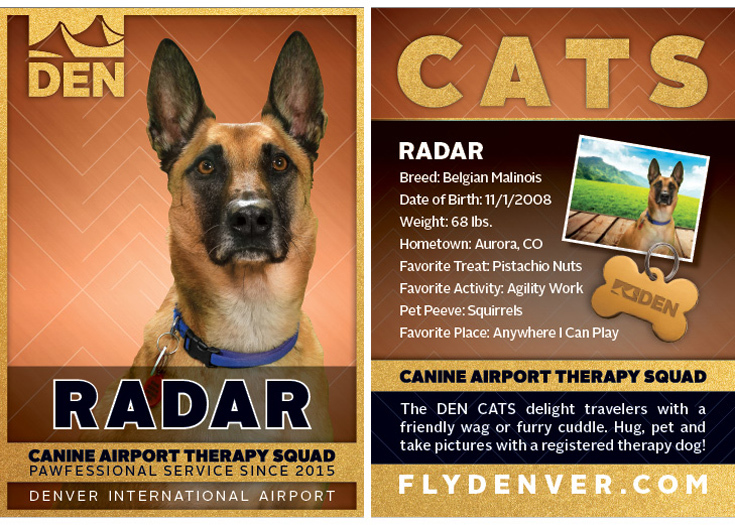 DEN Canine Airport Therapy Squad dog, Radar, a pistachio-loving Belgian Malinois whose favorite activity is agility work. “Radar’s Roost” was designed to appeal to Radar’s active, playful nature, this house combines practicality with repurposed or recycled materials that tie in with the vibrancy inspired by Denver’s RiNo neighborhood and its mix of old and new architecture and street art. Learn more about the Canine Airport Therapy Squad.